The mild tobacco means the initial phase is mellow and may seem somewhat disappointing. The second phase releases woodier flavors that increase in creaminess and roundness throughout the remainder of the smoke. 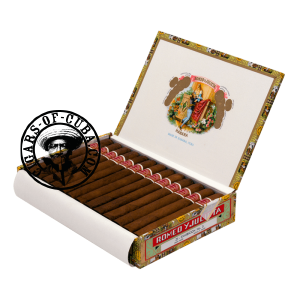 This Cuban cigar is a Powerhouse Corona Gorda with lots of character: earthy, spicy with musk aromas.